The Date Picker allows the user to select a date range to view data for a particular time period. Additionally, the user is able to choose between comparing to previous period or previous year, when applicable. 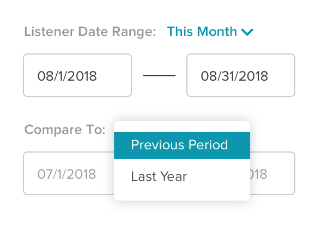 Both the date range and comparison date range have a dropdown list which contains quick links for easy date range selection. 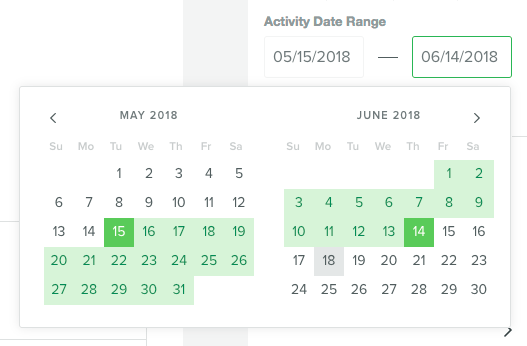 Selecting a quick link (Last Month, This Month, Last Week , This Week) will automatically update the associated text inputs and date range.